Veronica Gonzalez knew something was wrong. After her first son, Henry, didn’t pass the newborn hearing screening, no one at the hospital seemed concerned. “Fluid in his ears,” they said. Later, when the fire alarm went off at home and Henry didn’t wake, she urgently needed a better explanation. Veronica went to the pediatrician and tried to explain what happened, but with her broken English, the doctor dismissed the worried mom as depressed and offered her medication instead. After enrolling in the Healthy Start program for new mothers, a visiting nurse did a rudimentary hearing screening on Henry with a bell and, at last, discovered the problem. With the nurse’s help, Henry was able to get a hearing test at six months old. The test confirmed Veronica’s worst fears – her son Henry was profoundly deaf. Henry was a toddler in day-care being taught ASL and English, but it simply wasn’t working. An education assistant who worked at Tucker first suggested Veronica look into our program. She was encouraged by the school’s generous financial aid program, and after learning she qualified, the decision was simple. She quickly enrolled Henry as a preschool student at Tucker. In kindergarten, Henry began trying to speak. Veronica credits retired Tucker Maxon speech therapist Chris Soland for teaching Henry to talk, and his preschool teachers, Linda Goodwin and Michelle Proctor, for paving the way to language. Veronica remembers Patty Smith potty-training Henry and Jerry Roach teaching him to ride a bike. She recalls elementary teachers who made a difference, too. In Ms. Cordelia’s class, Henry’s speaking, reading, and writing really took off. In Ms. Malik’s class, Henry learned he is really good in math, and by the time he was in Ms. Love’s class (4th grade), Henry had so much confidence, he asked to be a “reading buddy” for one of our preschoolers. Genetic testing revealed that both Veronica and Henry have Waardenburg syndrome, a group of genetic conditions that causes hearing loss. The rare condition accounts for Henry’s striking blue eyes. Veronica learned that there was a 50% chance another child she had would be deaf. When her son Liam was born deaf, she was prepared. She insisted that Liam have a hearing test before leaving the hospital, and advocated that he have both implant surgeries done at the same time when he turned one. Liam enrolled in our Early Intervention program, and is now in his second year of preschool at Tucker Maxon. Veronica sees a great difference in Liam’s experience. Unlike Henry, who was shy and withdrawn before speaking, Liam is confident, and eagerly social. Liam even understands her Spanish (even if he answers in English) and is learning so fast that he’s already keeping up with his peers in class. This makes Veronica very proud. Today, Liam continues to excel at Tucker Maxon, and looks up to his brother, Henry, who has grown confident and successful in middle school, and is a great role model. Henry is on the student council, does archery, and plays in the band. Veronica credits the education Henry received at Tucker for giving him the confidence to be a leader. Veronica and her kids have come a long way since finding Tucker Maxon. 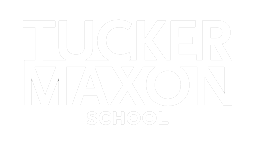 Veronica herself has also benefitted greatly from the generosity of Tucker Maxon’s community. Thanks to Tucker’s “whole package” approach to deaf education, the dedicated, loving attention of our expert teachers, and after school care, the task of raising her deaf children as a single mom became manageable. Veronica found she could afford the time and money to learn English and earn a degree in Criminal Justice, her new career. Now she volunteers helping other Latino parents navigate the world of hearing loss for their deaf children, empowering Spanish speakers to get the services they need. 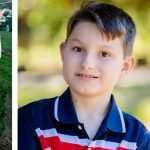 Like the Gameros brothers, many of our students who are deaf and hard of hearing come from humble means and their families struggle with the enormous costs of caring for a deaf child. 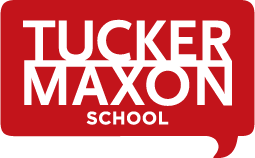 Tucker Maxon is committed to offering all children with hearing loss the opportunity to reach their full potential. In our 71 year history, we have never turned away a deaf child because their family couldn’t afford tuition. That is thanks to the generosity of donors like you. We need your help to bring the world of sound and speech to the next class of students like Henry and Liam. Please give today to support our amazing kids and our one-of-a-kind school. Thank you for your generosity. $250 provides 15 individual tutoring sessions with a certified teacher of the deaf, and will be matched! Double your impact! Our Board of Directions will match your gift of $250 or more, dollar-for-dollar, up to $24,000 in this campaign! Please, help us meet this incredible challenge with your leadership today. Thank you in advance.